This is what I’ll be listening to until December 26th. Last Christmas, This Christmas, Blue Christmas, White Christmas, Home for Christmas, Christmas Bells are Ringing, Oh Christmas Tree, Chrismas Canon in D!!! 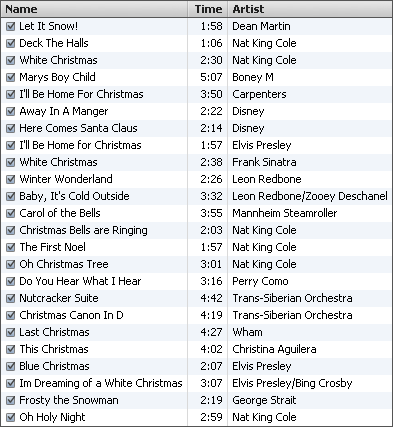 This entry was posted in Christmas and tagged Christmas, Christmas Music, iTunes, Music. Bookmark the permalink.